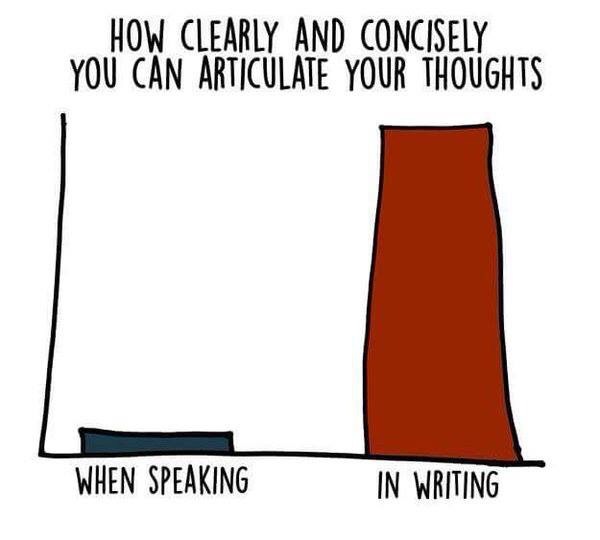 With a busy week , I’ve not been able to pen a post for Thursday 29 th but I found this infographic below at Facebook.com/writerscircle and loved it! It’s me to a tee. She stands in the evening air as winds pick up. They whip away the warmth and stagnance of day. The sky crackles darkly, it jabs with light and grumbles with thunder. The crickets schreee. Fat palms and ferns begin to whip about. There is a smell of ants and frangipani and wet soil. Soon the night air fills with the rumble of rain, large pellets hitting leaf and ground. It drowns the chorus of crickets and drums the roof and window panes. In an instant, the night lights up like day – the verandah, the trees, the driveway – all alight as though by a giant flash bulb. Then thunder tears apart the air, a whip crack overhead so loud the building shakes. She jumps. The children shriek but not with fear. They strip off and run in the rain. More lightning, more thunder. The adults gather on the verandah to watch as – pick! pock! – ice balls begin to fall. She pulls a cardigan around her. The children gather in and they all watch the lawn turn white. William Shakespeare wrote: [As You Like It, Act II, Scene vii]. All the world is a prison. 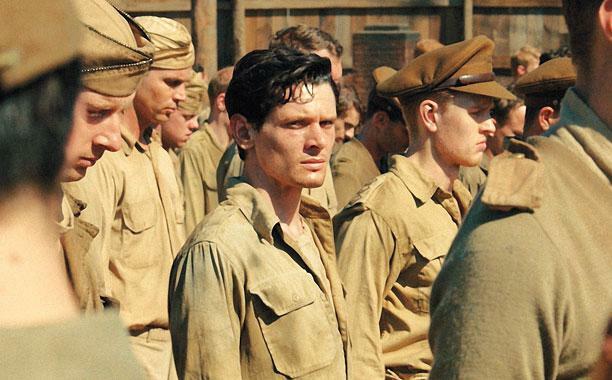 and added to by prisoner of war movies such as “The Great Escape“, J G Ballard’s “The Empire of the Sun” and more recently the biopic of Louis Zamperini, “Unbroken” the list of prison dramas goes on and on and on. Men and women trapped within a confined space with others of diverse backgrounds and with complex stories, facing chafing constraints, hardship and oftentimes abusive treatment from powerholders – seem to carry the strongest metaphors for the experience of living. Narratives of mental asylums as prisons go even deeper. 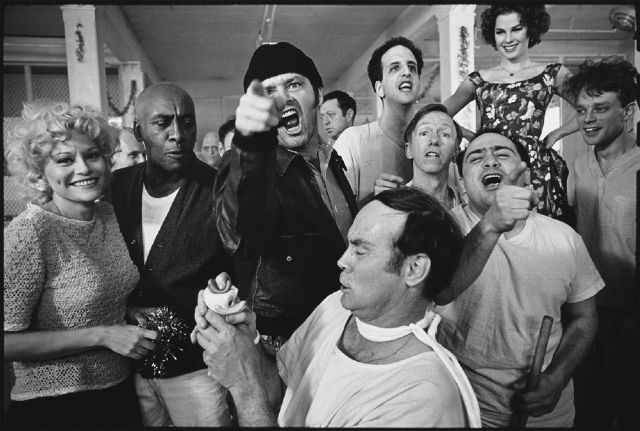 Consider “One Flew Over the Cuckoos Nest” and Scorcese’s bad but good “Shutter Island.” Throw in a bit of madness and give the crazy ones the dialogue that makes the most sense. Oppose this by giving the sane, dialogue full of subterfuge and chicanery and the metaphors escalate. Shakespeare saw his world as a play; madness, hubris, revenge, love and lust were all played out upon the dusty boards of a theatre and observed by a crowd for their entertainment, edification and esteem. More modern narratives see this world as a madhouse, a prison of sorts, ruled by despotic guards, nurses and gatekeepers. No great narrator rules this universe, the protagonists struggle for hope, alone with other inmates for cheer. Prison it seems a perfect platform to explore existential meaning for each generation. Within the constraints, tension, trials and suffering of this petri-dish, the characters explore what it is to “be” and find their “why” for living. 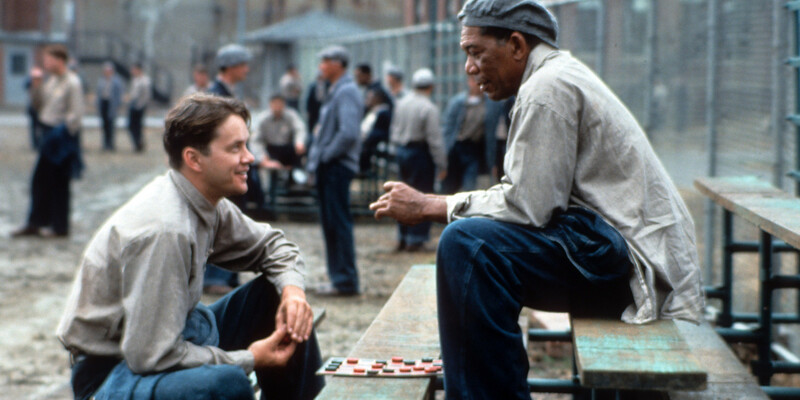 Prison dramas at their best bring out the why of living. The arts are not a way to make a living. They are a very human way of making life more bearable. Practicing an art, no matter how well or badly, is a way to make your soul grow, for heaven’s sake. Sing in the shower. Dance to the radio. Tell stories. Write a poem to a friend, even a lousy poem. Do it as well as you possibly can. You will get an enormous reward. You will have created something. 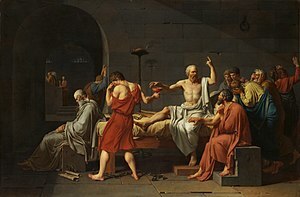 The Death of Socrates is recounted in several ancient works including Plato’s dialogue “Phaedo” and “The Apology” and in Xenophon’s “The Apology of Socrates to the Jury“. Socrates death by execution in 399 BC is credited to be a point from which western philosphy can find its origins. The classical Greek philosopher and teacher was put on trial and executed for “corrupting” the youth of Athens. His crimes – to introduce strange gods and for “impiety“, disbelieving in the gods of the state. In fact, Socrates disagreed with the powerholders of Athens and refused to be silenced. Instead of accepting what he perceived as immorality within his region, he questioned their notion of “might makes right“. His attempts to improve the Athenians’ sense of justice led to his trial and death. 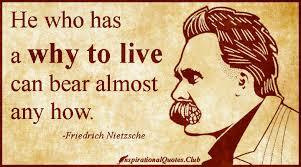 Socrates defended his role as a “gadfly” – a small creature that stings but spurs a beast into action. 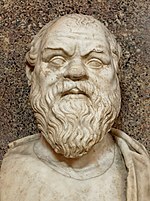 At his trial, when Socrates was asked to propose his own punishment, he suggested a wage paid by the government and free dinners for the rest of his life instead, to finance the time he spent as Athens’ benefactor. He was, however, found guilty of both corrupting the minds of the youth of Athens and of impiety and subsequently sentenced to death by drinking a mixture containing poison hemlock. Crito, we owe a rooster to Aesclepius. Please, don’t forget to pay the debt. 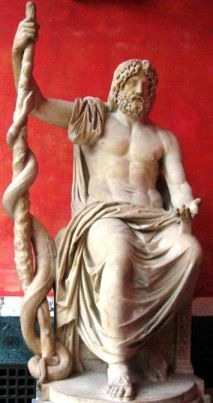 Aesclepius was the Greek god for health and healing, and it is likely Socrates’ last words meant that death is the cure—and freedom, of the soul from the body. Additionally, in Why Socrates Died: Dispelling the Myths, Robin Waterfield proposes that Socrates was a voluntary scapegoat; his death was the purifying remedy for Athens’ misfortunes. 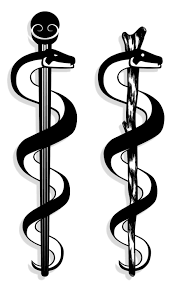 Interestingly, the Rod of Aesclepius, and the symbol of places of healing throughout the Greek world, was a snake curled around a stick. The symbol to this day is associated with health and health care. Some commentators have linked the symbol to the serpent wrapped around a pole mentioned in the Bible in the Book of Numbers (Numbers 21:5–9). 9 And Moses made a serpent of brass, and put it upon a pole, and it came to pass, that if a serpent had bitten any man, when he looked upon the serpent of brass, he lived. King Hezekiah, 700 years later destroyed the copper serpent because it was being worshiped (2 Kings 18:4). The motif appears again as a symbol of healing in the New Testament, this time a messianic symbol found in John 3:14–15. 14 And as Moses lifted up the serpent in the wilderness, even so must the Son of man be lifted up: 15 That whosoever believes in him should not perish, but have eternal life. Fascinating parallels emerge. Socrates, perished, a voluntary scapegoat. His death was to him, and to generations subsequent, a cure, a freedom from the tyranny of odious traditions and false wisdom. Western philosophy has forever been indebted to the iconoclast for his steadfast dedication to inquiry, justice, and the rights of the common man. At another turning point in history, Christ died, a voluntary scapegoat for the ills of his people. His death too has been for generations subsequent, a cure, freedom from the tyranny of odious traditions, false wisdom and well …….eternal death.